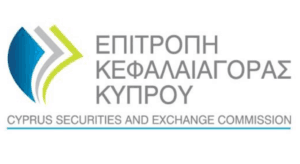 The Cyprus Securities and Exchange Commission has announced that, on its meeting of 4th March 2019, has decided, pursuant of the Investment Services and Activities and Regulated Markets Law of 2017, to withdraw the Cyprus Investment Firm authorisation of GS Sharestocks Ltd., due to the Company’s decision to expressly renounce it. GS Sharestocks LTD. operates an online shares trading platform. It enables users to buy and sell stocks, follow other investors, and get access to stock markets worldwide; and create and run a community of subscribers to their portfolio. The company also provides live market data, latest stock news, and social feeds. GS Sharestocks LTD. is headquartered in Limassol, Cyprus.